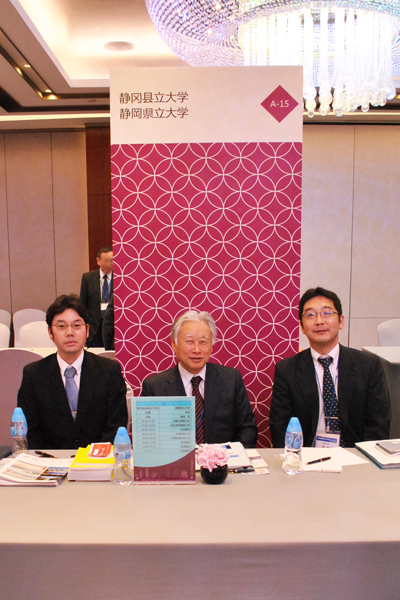 On 12-15 May, University President Hiroshi Kito and Assistant professor Akira Minami visited Canton, China to attend the 13th Japan -China University Fair and Forum. This event was organized to promote university exchange and study abroad initiatives, and to present and discuss common issues between Japan and China in industry collaboration and other areas. 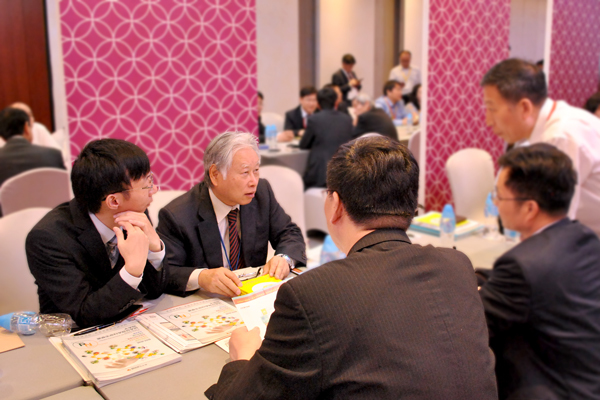 During the forum President Kito had individual talks with the presidents from China universities. By the participating in the activities, University of Shizuoka will strengthen mutual beneficial collaboration with China universities. President Kito engaged in dialogue.